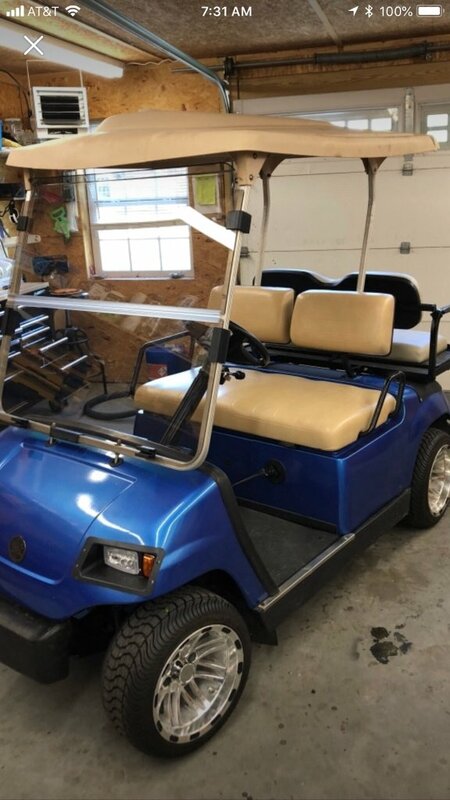 Hello, guys so I have an older Ezgo electric cart. In its heyday it was something special. It was heavily modified. 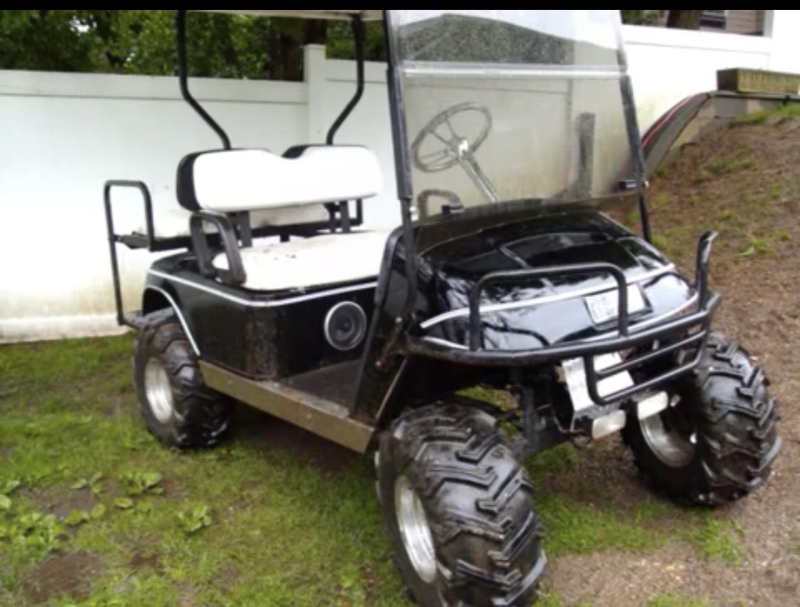 ( Lift kit, Full real Carbon fiber dash, full carbon fiber Steering wheel, neon, custom white leather seats, aftermarket Radio, etc etc) I parked it about 8 years ago for the winter. Spring time came along and unfortunately something went wrong. I’m not really sure, I if I remember correctly it was the solenoid not to sure, but I believe that’s what I remember from the research I did back then... And well it’s been sitting outside ever since. Well now I’m at the point where I wanna get it running again. I am assuming I need all new batteries. Anyone know where to get cheap ones? I know that batteries aren’t “cheap” but you know not like $600. I’m not looking to put a ton of money into this. I also think the solenoid is bad. Anyone know where to buy that? Like I said I really would like to get it up and running again, but don’t want to put thousands into it. Yes I know that cheeping out on batteries will only cost me more in the long term, but I’m about the now. I really won’t use it all that often. It’s more of a toy, it’s not going to be used for work or anything like that. As of now I am trickle charging the batteries to see what ones hold a charge and what ones need to be replaced. I don’t think anybody’s going to laugh :-) These are the kind of projects we do! If your batteries have been sitting for eight years, they will definitely need to be replaced. Sometimes the batteries at Sam’s Club go on sale. Have you checked there? Nice build!!! You definitely saved that cart. But unfortunately my cart is in horrible shape because of me not someone else. I was the one who neglected it :/ I’ll attach some photos of it later. I’ll check Sams club, I didn’t even think of that! Thank you. I’m currently charging the old batteries and so far one had held a charge =D so I’m hoping that I won’t have to replace everyone of them to begin with. ( obviously down the line ) I also thought of trying the old baking soda trick to get the batteries back. They might seem like they hold a charge but they won’t do well under the load of the golf cart’s motor. I’d very strongly suggest replacing them all. And don’t replace just some of them – your new ones will become as bad as the old ones. Really why would that be? I know I won’t be driving as fast as I used to be, but I just want it to move lol. Eventually I will replace all of them. The entire string of batteries in series acts as a whole. Like a chain, the weakest link determines the capacity and total charge of the entire pack. So all new batteries will only charge to the capacity of the weakest battery in the string. From repeated undercharge, they will quickly sulphate until they will not be capable of charging any higher in a very short time. You NEVER mix old and new batteries, or, new batteries of different brands/capacities. That is primary rule to live by. If you insist on using old batteries, go find some used batteries of the same age and reduced capacity to replace the bad ones. But you may find out quickly that they will not be able to operate your cart. Batteries that have been discharged become so sulphated that they'll hold a voltage but have no capacity left. The processes required to desulphate flooded lead/acid batteries is a lot more complex than simply adding baking soda or some other chemical. I should know, I invented a battery desulphating technology that has been out on the market for years. Please do not ask me about it. I licensed it to a company to manufacture and market. I am not involved in marketing or sales. Ah see you learn something new everyday. I’m just not trying to spend $600 on batteries as that’s a bit much for this project you know? So unfortunately I tired to charge two more batteries today and they didn’t even come up at all. I’m not sure how big of a project this is going to be but it seems like it’s getting up there. 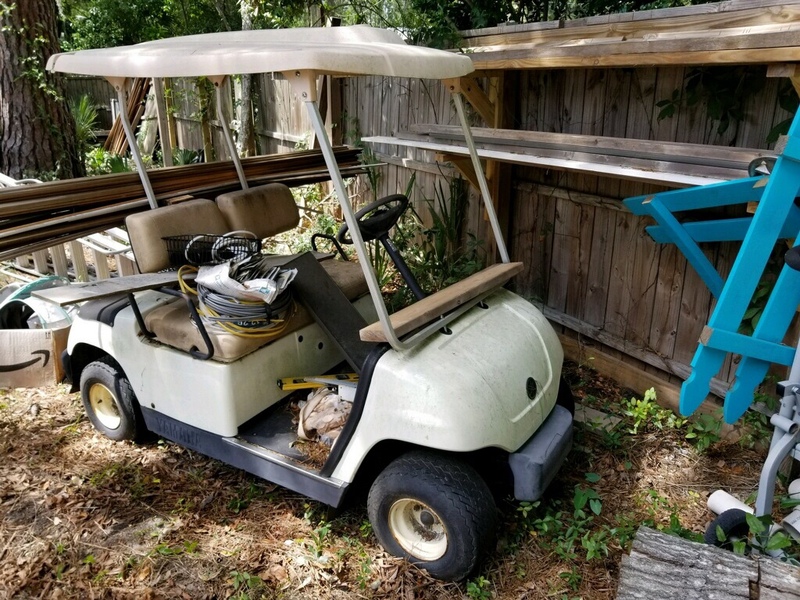 I hate to be negative Nancy here, but you can spend $600 on a project cart in a heartbeat....especially if you have 8 year old batteries. That's one of the biggest expenses of an electric cart. I purchased the Duracells from Sams for around $90/battery. They ran a sale about a month ago for $20 off/battery, but I'm not sure how often they run that deal. I would also suggest something like Facebook Marketplace or Craigslist. I've ran into a couple of deals on used batteries that were less than a year old. Sometimes you can find someone that is upgrading from 6V to 8V or even lithium, but still have good batteries. I got my solenoid from a site sponsor (ScottyB, cartsunlimited.com) and would highly recommend him/that company to anyone. Very helpful and active on this forum and will come with everything needed. Good luck my friend and keep us updated.